FS Student !! I got a new FS Hindi Language Student last week .With these 4-5 FS Hindi language Students ,I am gradually getting an idea of the format of the exam.At least about the Hindi Language Phone Test.And I really enjoy teaching these Hindi students.My FS Language Students are from Washington DC,Florida,New York(NYC) mainly in the east coat. My language classes are simple,friendly and organized.And you will improvement your Hindi Language skills for sure.And these Hindi Speaking Lessons will boost your speaking skills. Very good hindi teacher. I've been taking classes for a few months to refresh/improve my Hindi and have already seen substantial improvement. Susmita-ji's teaching style can accommodate both beginners and more advanced Hindi speakers. Great resource! Susmita has been helping me for 6 months now to learn Hindi, and I have gone from barely being able to introduce myself to being able to talk about the news, customs, and everyday activities. She is always flexible with her schedule and willing to work with you to help you achieve whatever goals you want to accomplish in learning Hindi and Bengali. She is a dedicated, challenging teacher, and, if you take Hindi online lessons from her, your Hindi is guaranteed to improve. 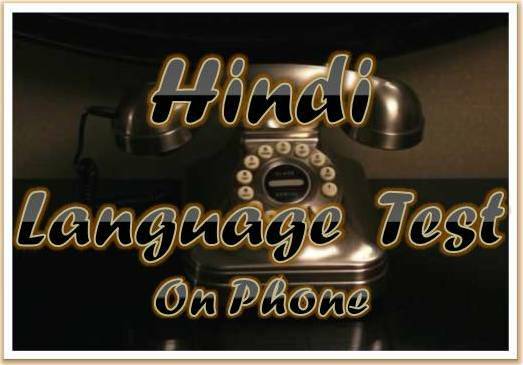 Thanks to their comments.I will be happy to help you to improve your Hindi language,Hindi speaking skills.Please contact Talkingbees.com for more information.